We Care Because You Care! Loyal Companions was established in 1989, in Windsor, Ontario. It has been our goal to make your pet’s well-being a priority. At Loyal Companions, we are dedicated to making your pet’s experience an enjoyable one. Grooming is a lifelong process which needs to be handled with a caring touch. They are not just pets, they are members of your family. 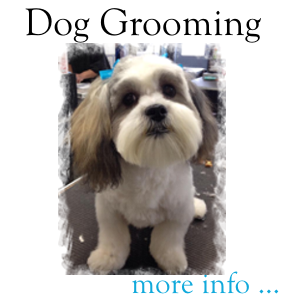 Our groomers are involved in many aspects of the canine world, including Obedience, Agility, Conformation, Performance and Therapy Dog Work. We strive to be well-rounded and knowledgeable about the pet industry. 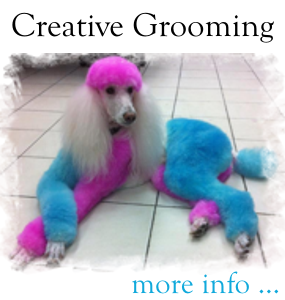 At Loyal Companions, we believe that grooming is a joint effort between the client and the groomer. We believe that education is the key to keeping your pet healthy and happy and we encourage questions about your pet – even the unusual! We offer a variety of services. Click on the banners below for more details.